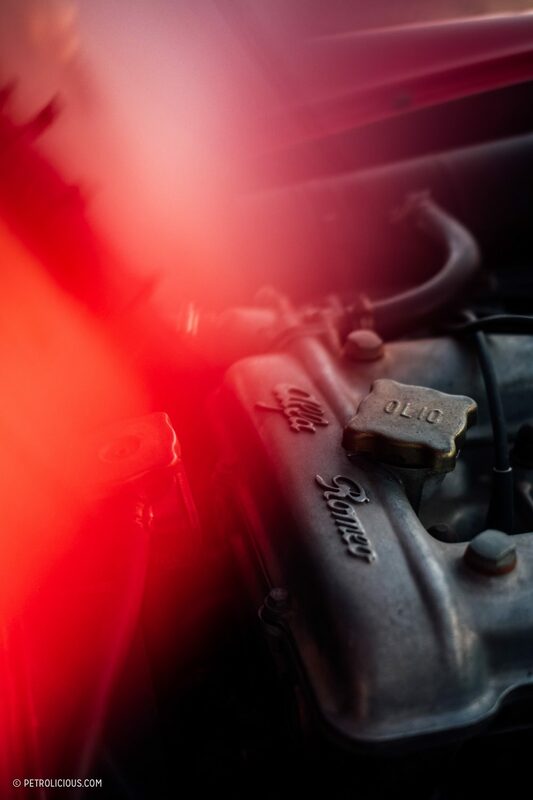 I strongly believe that there are true myths in the automotive panorama, stereotypes that have deep foundations and bring forth continual proof in their favor. 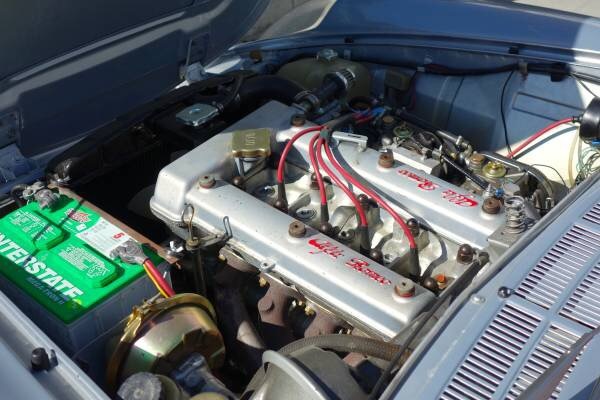 Every car has its own peculiarities, some are beloved things we might call “quirks,” while others may be less charming, like a tendency to prematurely spin rod bearings. 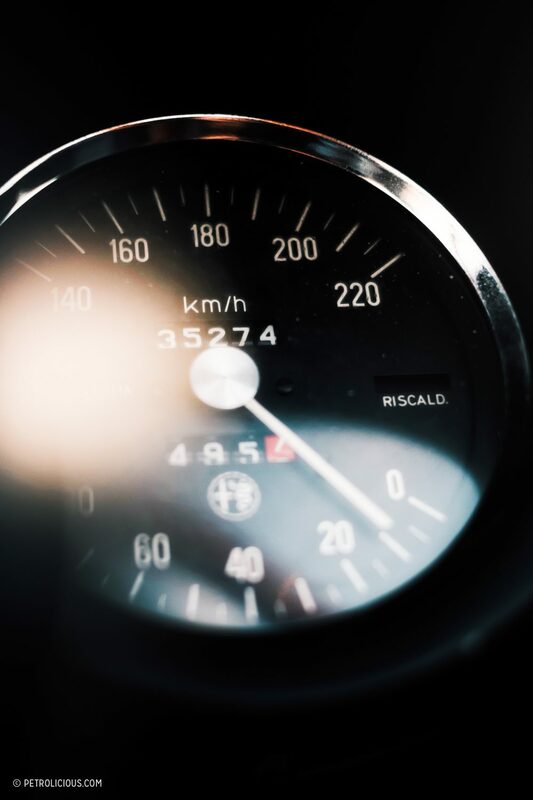 You will remember some cars for exaggerated power and incredible success in motorsport, others for their spectacular liveries, others for memories simply because you grew up down the street from one, and fell in love when you were too young to know better. I love racing cars to the moon, but there are more than enough street cars that I find myself following on an owl’s head pivot when they pass in the opposite lane. 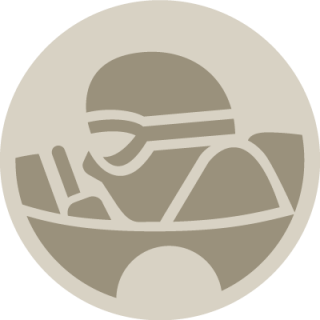 A racing car will thrill you in a unique way that gets at something primal in our being, but the car that I will talk about today excites in a different way, something a bit more grounded but still from another planet in comparison to most of the road’s populace. 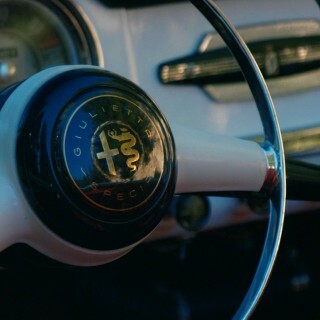 In my previous visit to Alessio, in his cave of wonders, between the ruins of a Giulietta full of rust and an Alfasud covered by a geologic layer of dust, my eyes fell on a model that I had been looking at the shape of for a long time under its dusty blue canvas—an immediately familiar shape, recognizable from every side. Perfectly designed and set in a flowing line, with sweet and seductive features, like a woman in the flower of her youth as someone like me might say. 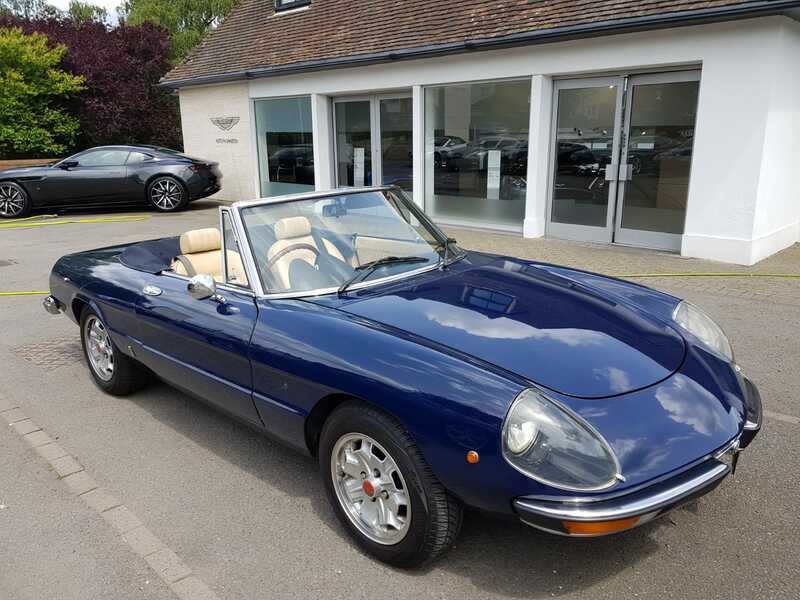 We are talking about the Alfa Romeo Spider, with the Kamm-style, truncated tail, a protagonist of summer for many Italian boys looking for company. And if I saw a beautiful woman driving this beautiful car? Too much! Can we consider a car with more than 40 years to be modern? 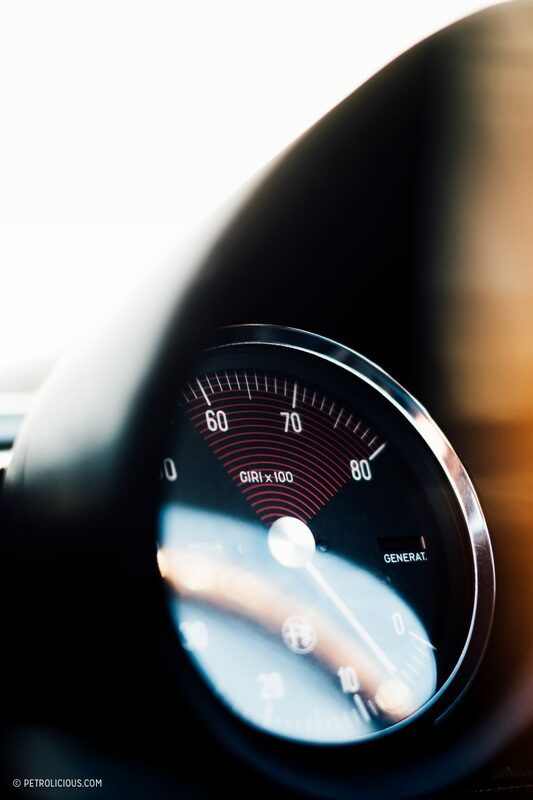 Can we consider current a car that does not respect the current motoring standards? Well, Duettos and the like are, right now, today, a very popular means toward rewinding time. 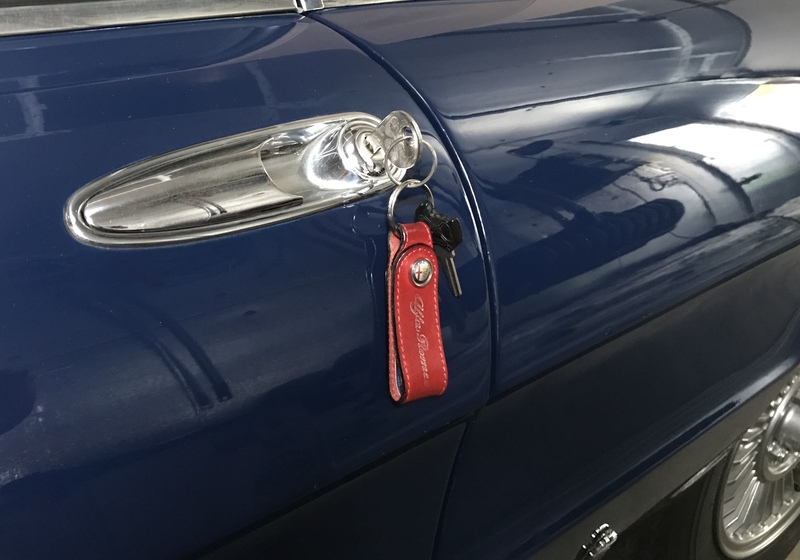 The point is, it’s not really important when we start calling a car a classic or not, and even though this one surely is, that doesn’t mean its only fans are those that are also quite classic themselves. Young dudes like Alessio are the living proof of this, in my opinion. An old-fashioned but hip owner, able to appreciate these cars while giving them a contemporary purpose. 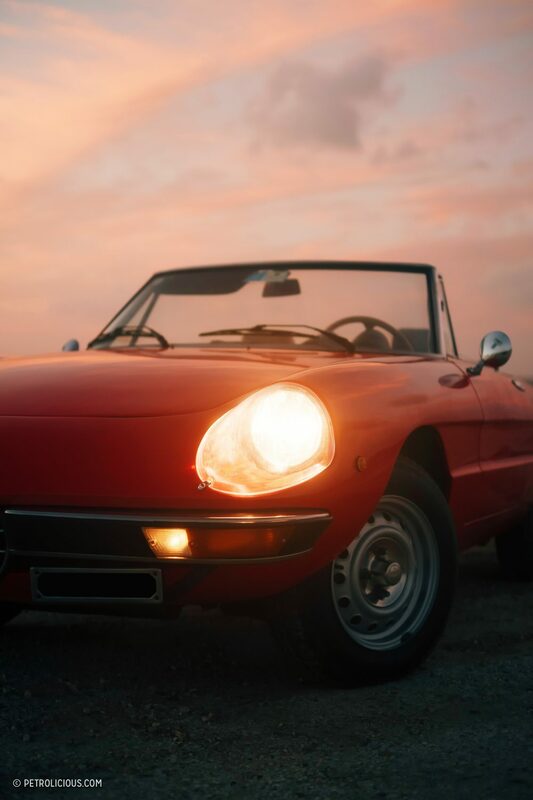 The original Alfa Romeo Duetto is probably one of the most popular projects of the duo of Pininfarina and Alfa Romeo, a balance between elegance and humility, effortlessly graceful but never something you’d call contrived. 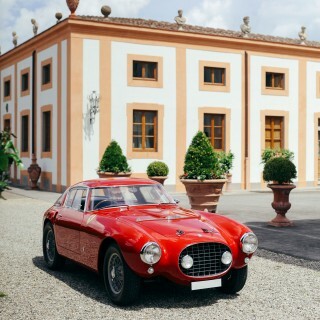 To add to the beauty of the form is the fact that the poet Leonardo Sinisgalli gave the car its name in a competition organized by Alfa Romeo’s then-president Giuseppe Luraghi, no stranger to beautiful words himself. Only the first 190 copies can use the name Duetto though, due to a harsh legal dispute caused by the name of a snack (yes, a snack! ), whose producer claimed the right to use the “Duetto” exclusively. 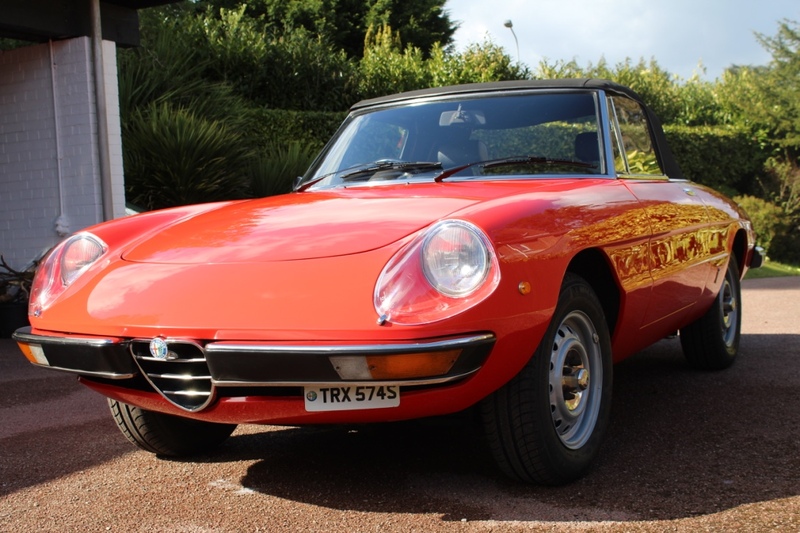 So, the denomination was eliminated and the car became simply the Spider after the first series, but the Duetto name remained in the common language as a synonym for Spider to many, as it had already sent down some deep roots. 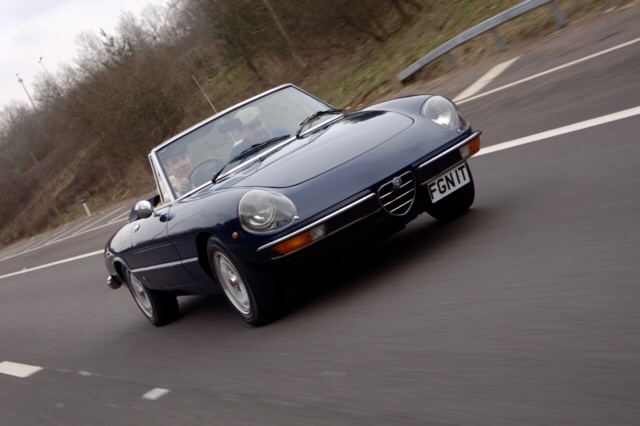 The Duetto was born in a flourishing period for Alfa Romeo that, conscious of the successes of the previous models, decided to invest in a convertible car, a spider, that would be affordable and friendly enough to unite the tastes and budgets of customers across a wider spectrum, and to give a follow-up to the Giulia GTC, which had remained at the concept stage. 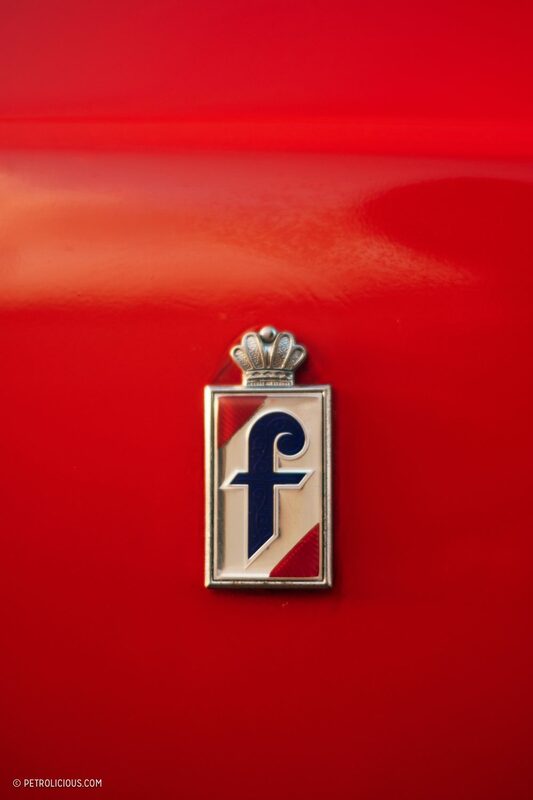 The creation of the Duetto, this marvel of all-Italian design, is due in large part to the design work of Franco Martinengo and Aldo Bovarone, who started from a Pininfarina project from the 1960s called the Superflow and drew what would become the Duetto based on that concept. 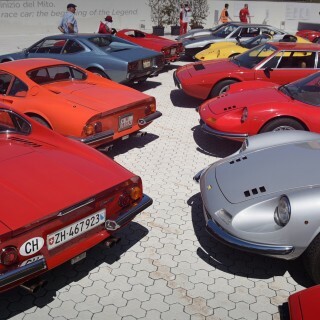 It was Battista Pininfarina in the end, who sanctioned the masterpiece of the form and developed the final version. 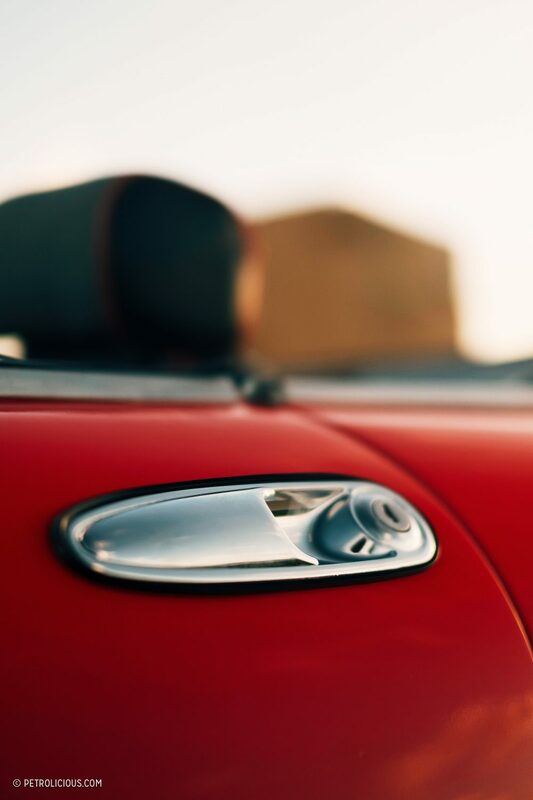 The first Duettos leave the Grugliasco factories in 1966, marking the beginning of a multiple-decade-long era of popularity for the little Alfa drop-top. 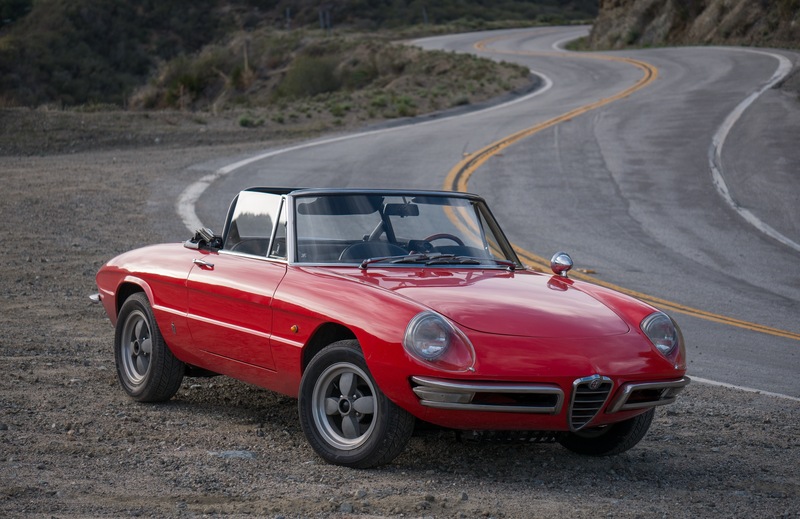 28 years of production, in fact, separate the first from the fourth series, and I don’t want to hide the fact that I would like to see it again in a newer version, in an era in which Alfa Romeo re-proposes its significant production models. 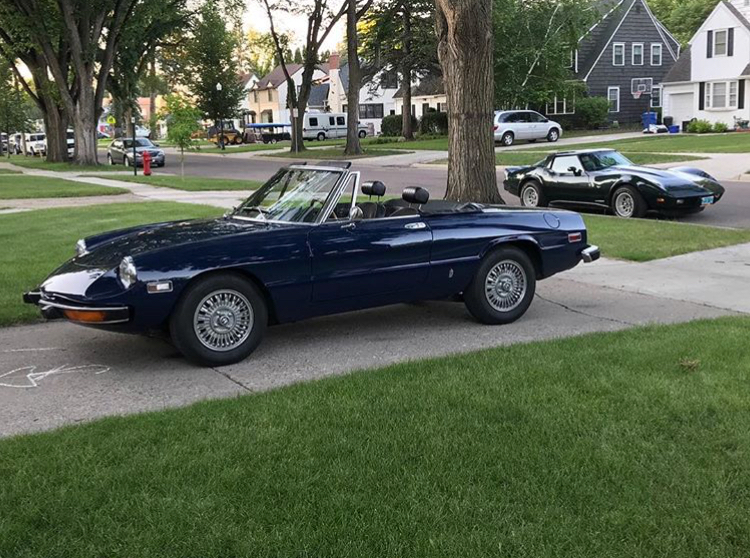 I think the Duetto is a perfect choice for modern day Alfa Romeo to re-imagine; a car for a young public, perhaps more in synch with the pleasures of summertimes when the roof stays down for months on end. 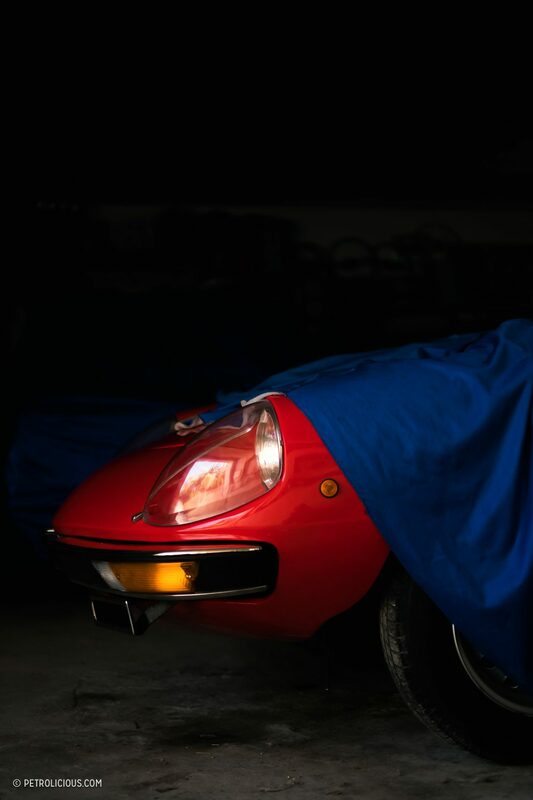 Let’s get back to Alessio’s garage, which feels enough like a daydream already. The cover hid the forms of the car well, but not fully, and in something you might call a blur, all of a sudden I find myself hanging out of the trunk of a moving vehicle as this gorgeous machine gives chase. Among the rows of freshly picked olive trees and the light that filters through a nearby pine forest, it’s hard to imagine a better place to be. The Duetto is agile and moves well between the narrow country roads, and its 128bhp provide the right amount of fun thrust to get around, but its the beaches of San Teodoro that we’re going for photos today, a setting that can do justice to this beautiful sculpture my camera’s aimed at. 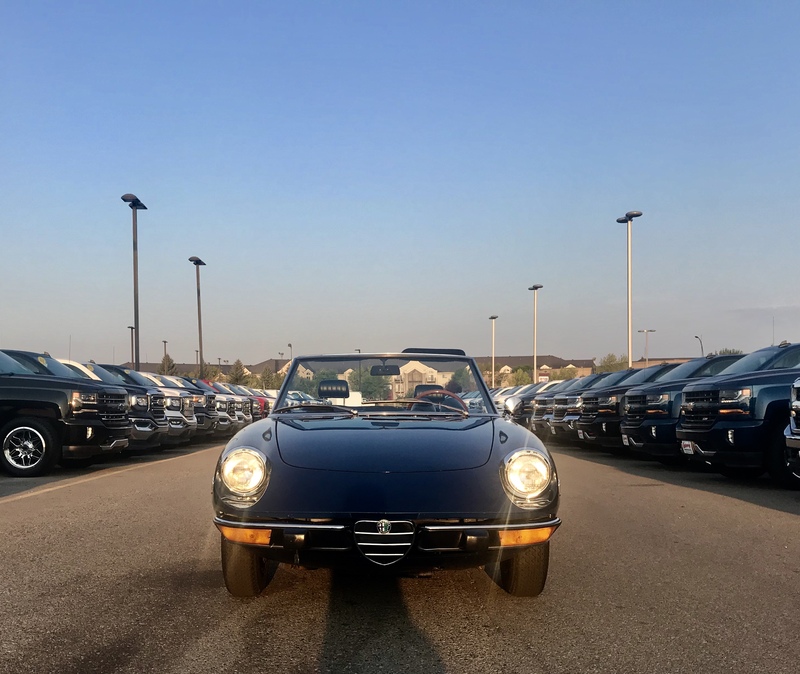 I strongly believe, and I will be happy to be criticized for this opinion, that this car is not special for its speed or agility or performance, but that the Duetto will be remembered so fondly for so many years to come for the pleasure of owning it. For owning something that isn’t perfect, but almost. 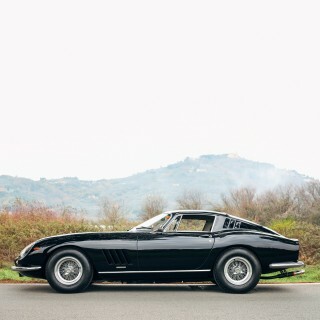 For owning something that makes you realize that nothing really is perfect, and that we must work with what we have and make the best of it—that’s as close as we’ll get to the ideal life, and surely cars like this one have a part to play both as we make our way toward that life, and if we ever get so lucky to reach it. 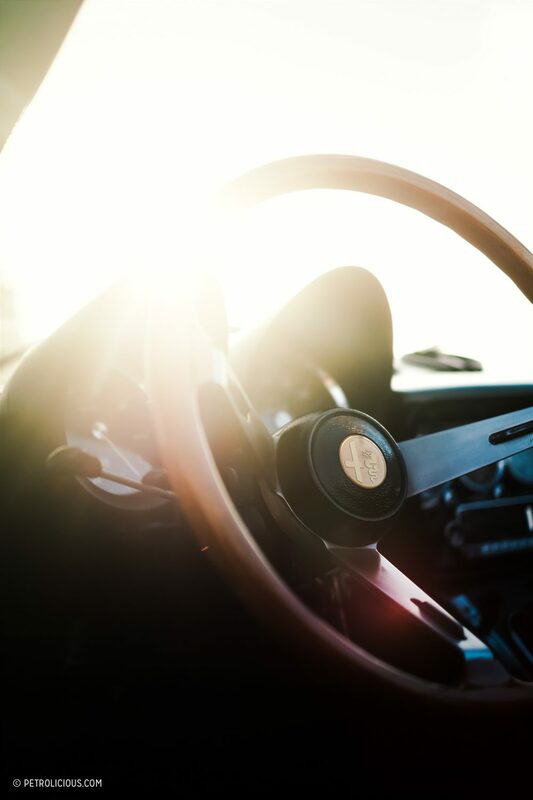 These are the kind of thoughts that go through my head when the wind is going through my hair in the passenger seat of my friend’s Duetto, and that right there is hard to beat. Perhaps we’ve already arrived. 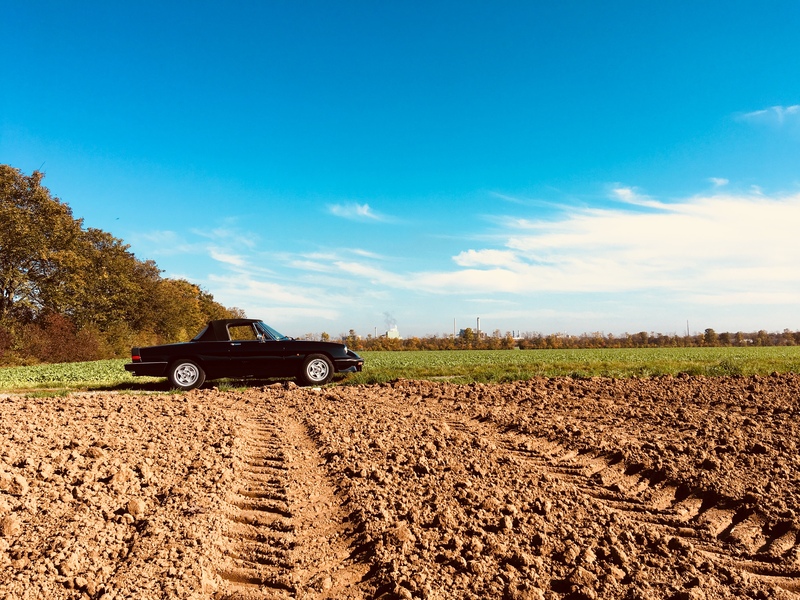 My ’79 Spider has been serving me well for 28 years now. It always manages to bring back the romantic feel of travelling, whether it’s crossing the Northsea to Blighty or crossing the Alps into its country of birth. Also performs well in historic rallying (hence the custom made bumpers and Cibié driving lights). I just returned from Southern California where I purchased a splendid Series 4 spider. My first Alfa finally. She’s already been named Gabriela and arrives here in Prescott, Arizona Monday or Tuesday!!!!!!! Send me some photos when you want!! Great piece Armando! You were able to capture the essence of the car, that I think that also transcends to its place of birth. Italy is a beautiful, disorganized, crazy, delightful mess that couldn’t be more perfect. 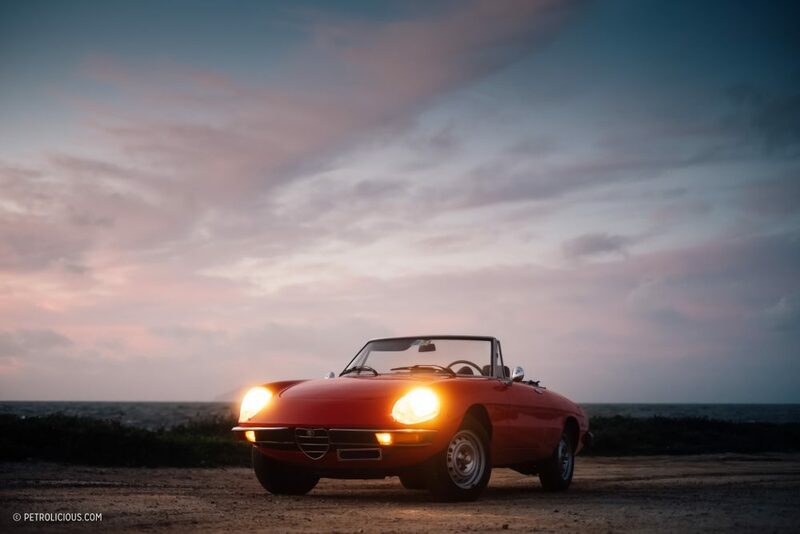 I had the pleasure of driving one of the later versions of the spider from Tuscany to the Amalfi Coast, lost a gear on the way back, that forced me to go slower and enjoy even more the scenery. Italy is a beautiful country to live the sweet life. If you are a tourist, Italy will always leave something inside that you won’t find in other places. If you live there, however… leaves a bitter taste in your mouth. A beautiful place, but useless, sometimes. A beautiful car and a nicely-written article. 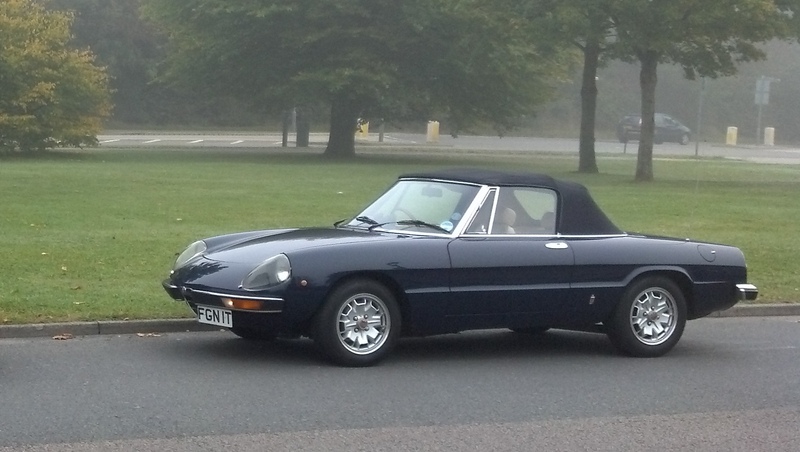 BUT the car pictured is simply not a Duetto! 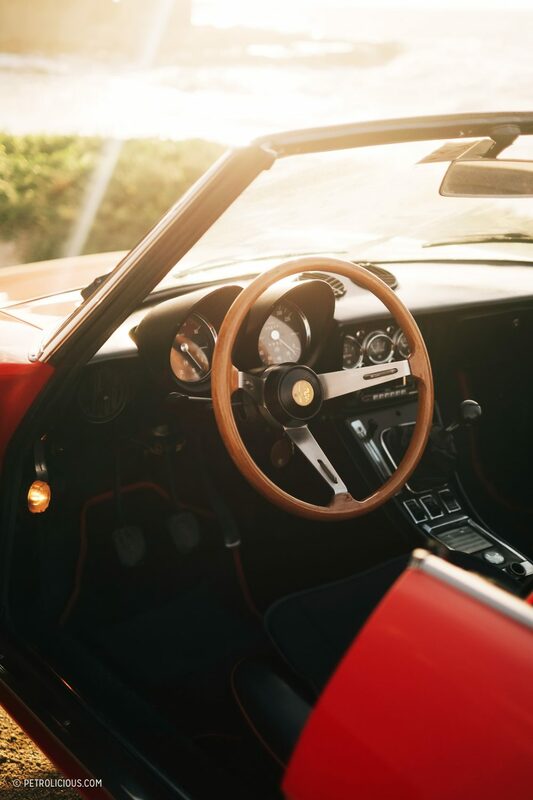 It’s as if Petrolicious ran photos of a 1950’s Porsche hardtop and waxed eloquently about the Speedster – it just makes you look uninformed. Here’s a shot of my Duetto. 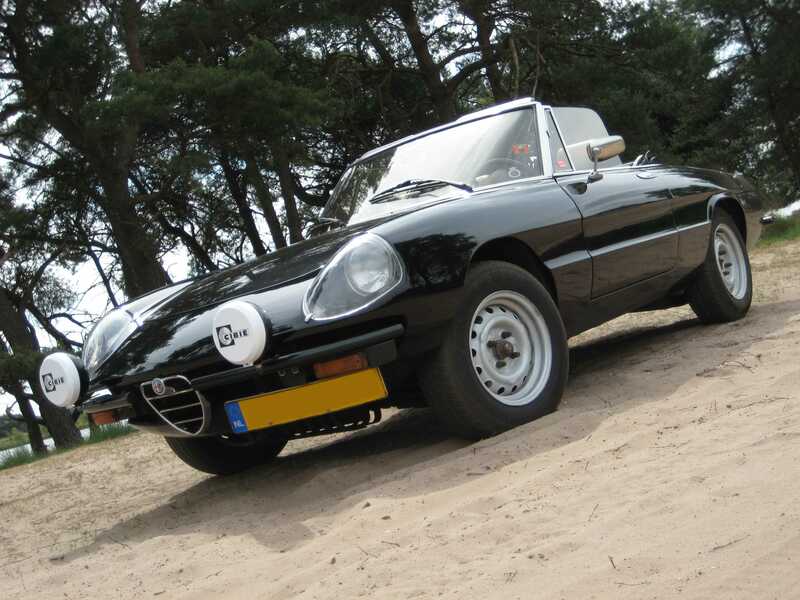 Not as well restored as the squaretail in the article, but a real Duetto. Totally agree with your point of view and thanks for your kind comment about the article. For honor of the truth. On my instagram feed, I apologized for the misunderstanding happened. 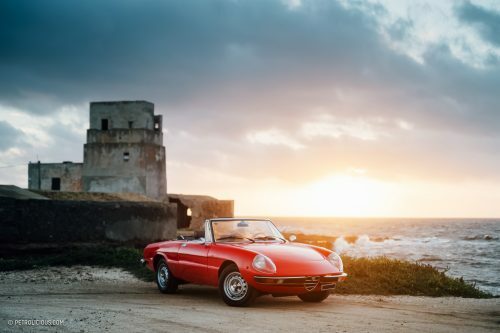 In Italy, we usually call “Duetto” the whole series of Alfa Romeo spiders and for this, mistakenly, I felt to give this opening to the article. Should not have done, considering how much this could have damaged my image and my professionalism in this world. First fell in love with the original Duetto’s in the 80s when a roommate’s dad offered to sell me his for $2,000. Unfortunately too many lira for a starving student at the time. Many regrets. Finally got around to finding/buying one – same color scheme, silver over red. 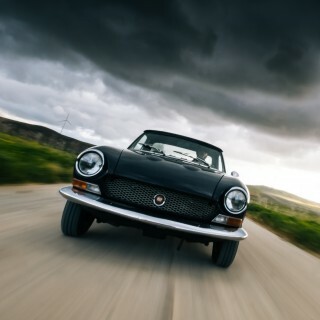 Most fun car I have ever driven (and I own a E-type and have had 2 Austin Healeys). 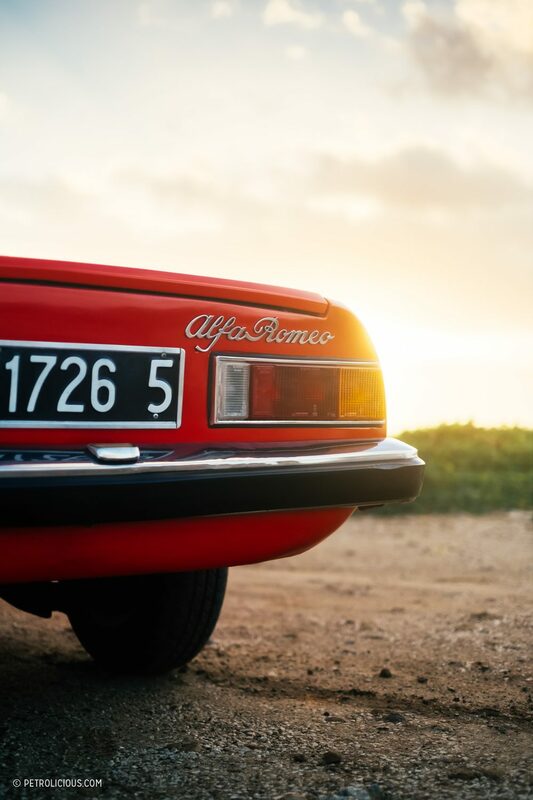 Something about the mystique of the Alfa Romeo brand. La dolce vita! 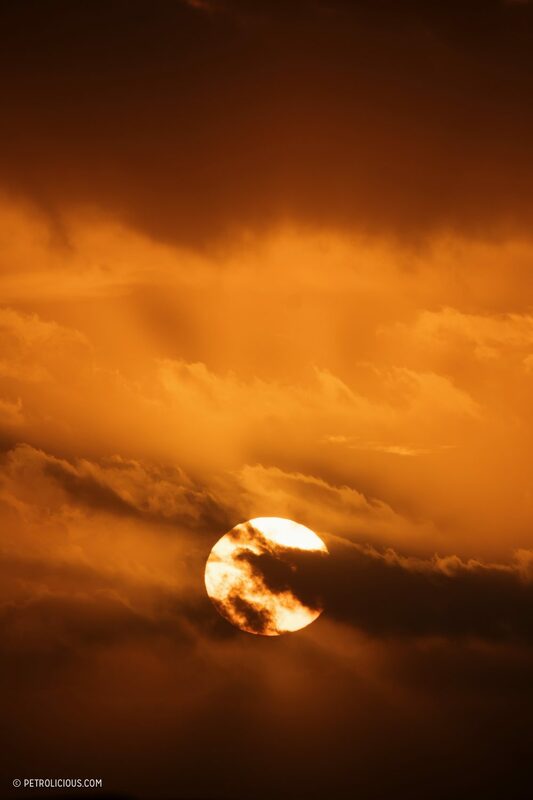 Thank you very much for these well chosen words and the beautiful photographs. 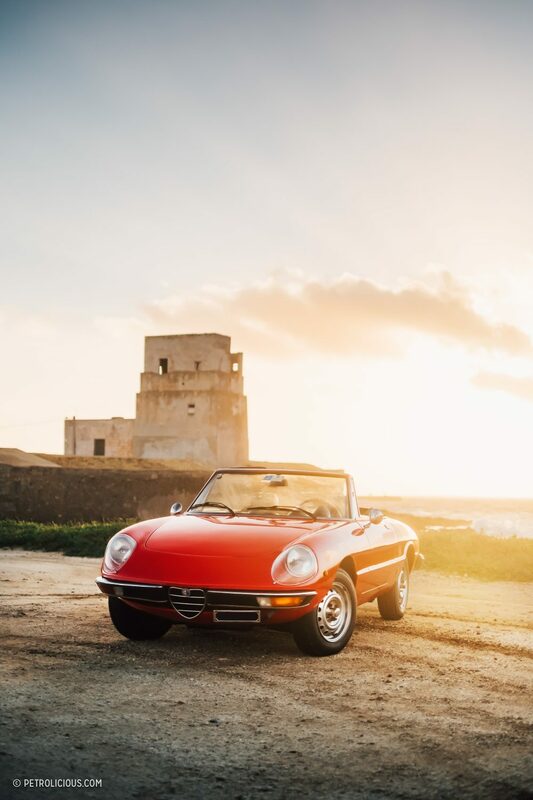 You captured the essence of the Alfa Romeo Spider here I think. Nothing materialistic, simply the joy and smile you get out of driving it. Since there are already a few others here, I am glad to share mine as well. „Just“ an S3, but still a real classic. It was my very first car aged 20 years, and I sincerely doubt I will ever sell her again. It wasn’t a technical article, because I, literally, can’t write about. I’m not a technical guy. Just wanted to share my emotions. Be a spider in a world of pickups. Great writing- nice work- love these cars. Well Armando, you’ve done it again. 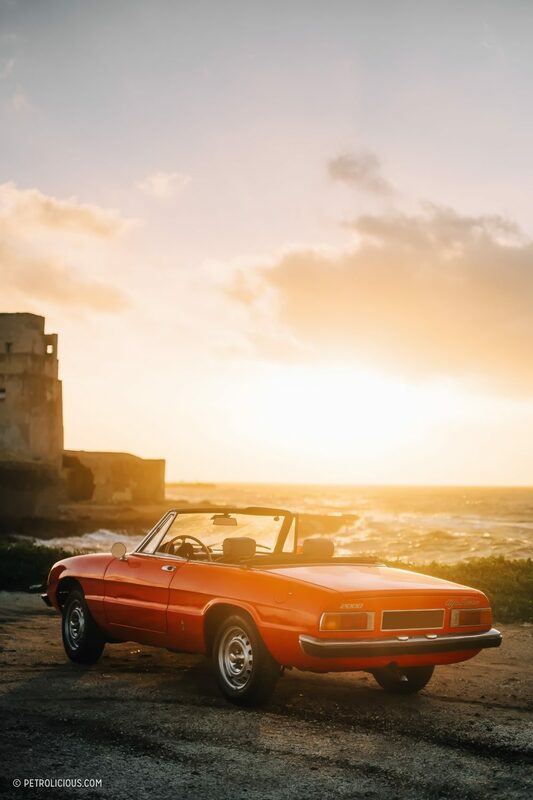 This article on the gorgeous red spider comes as I just made airline reservations to fly to California to view, drive, and hopefully, buy a Series 4 Spider in red with tan. 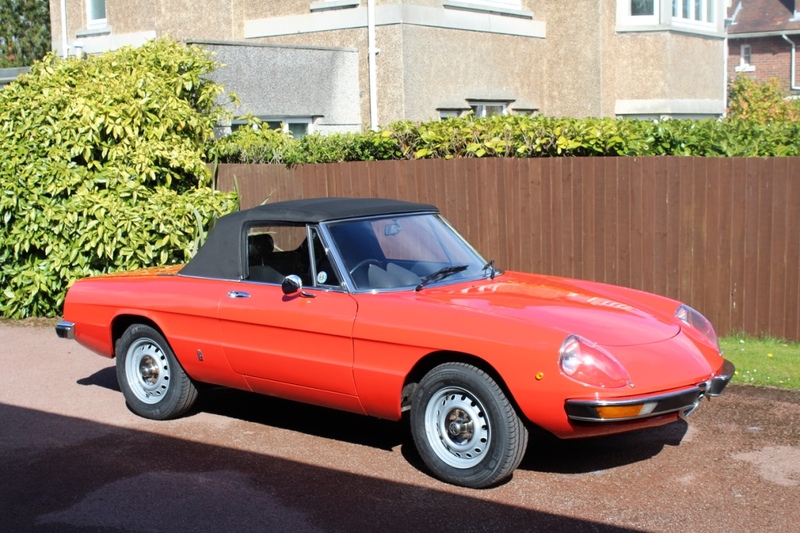 Although I’ve owned my share of enthusiast cars this will be my first Alfa Romeo and it will fulfill a goal of over 50 years standing. Thanks. Always wait for your kind comment. Thank you Armando, I too have owned my Spider for 40 years. I have had lots of other more powerful and expensive cars (particularly 911’s) but my Spider is a special car, beautiful to look at and rewarding to drive but I find it very difficult to define exactly why I love it so much! The purpose of my article is, indeed, trying to define what the spider means to everyone who can drive it. Is a sort of strange emotion. In a comment below I wrote “you don’t want to know how fast you’ll go, but where you’ll go and with whom. And I think this sentence explain, perfectly, what the spider duetto is. 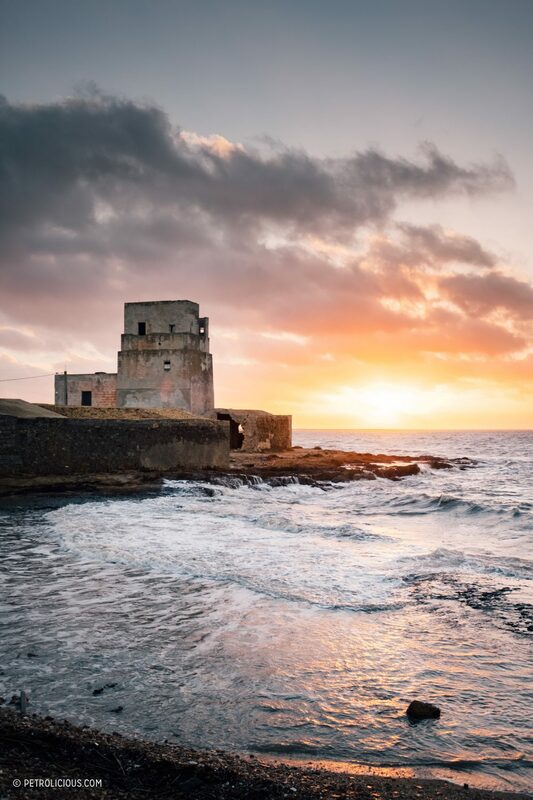 Armando, I love Sicily…going many times there from Switzerland. 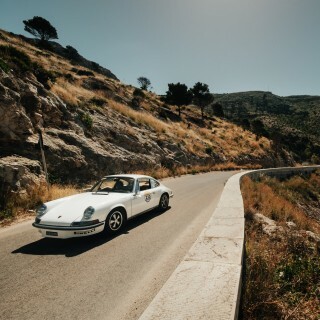 Cruising in my Oldtimer around Noto, Syracuse, Cefalu, Marsala, …..a fantastic island with unbelievable rich history. Cefalù is my hometown Rolf. Let me know if you will come again. Beautiful pics! And a good point about these cars being perfectly imperfect. I bought an S3 last year that I completely love. 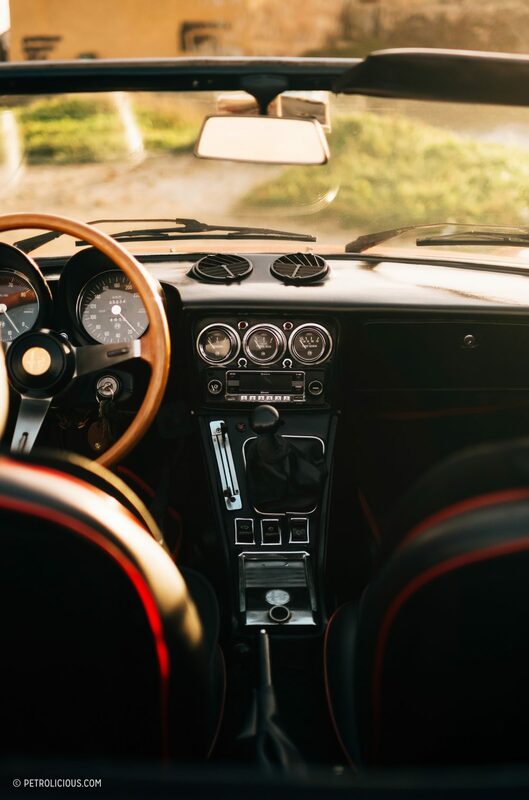 And while I am planning the next acquisition, likely 80s 911, I very honestly wonder if something even as capable and iconic as a 911 will provide as much joy. Another thing that’s special about these cars is, well, there are tons of people who just aren’t into cars. But when they see a Spider, it puts a smile on their face. 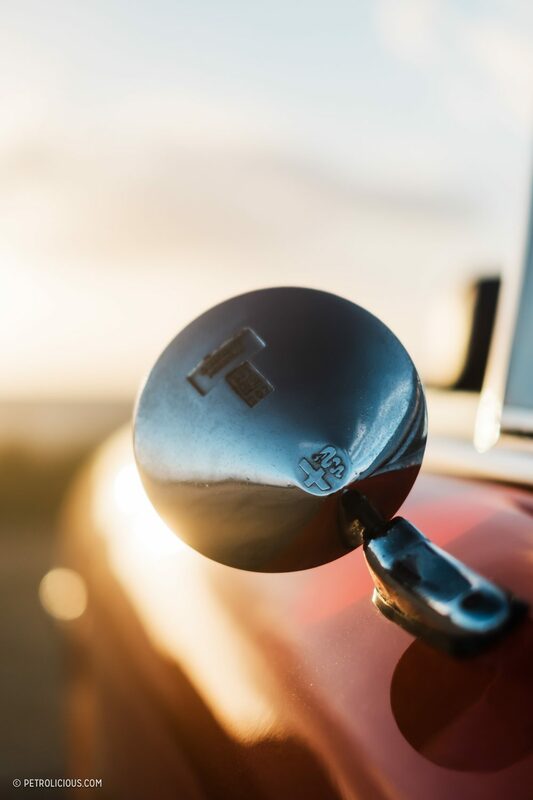 Few cars have that charisma – this is certainly one of them. Alan, Thanks for the kind words. Totally agree. There is something special in this cars that turn the head also at who is not into cars. And I think the Duetto takes, probably, the first place in this chart! Great report again. 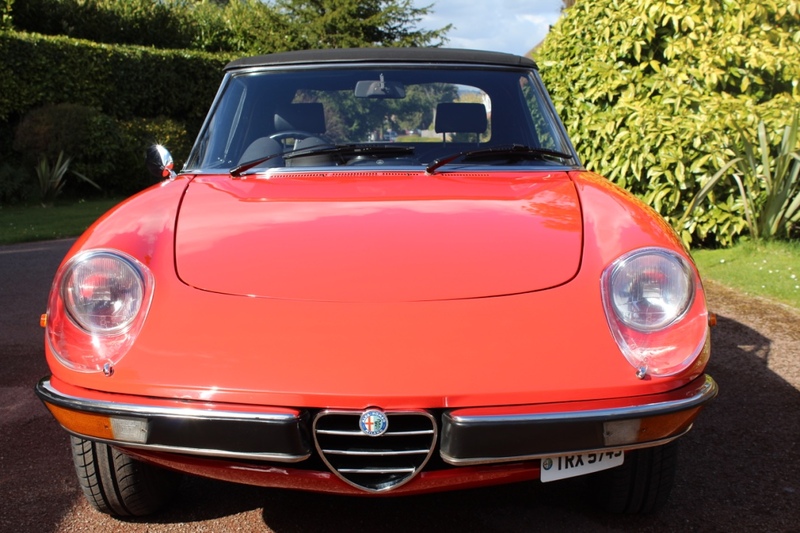 All your Alfa stories! Fantastic pictures, great spots! In Sicily again?Trapani? 2 weekends ago I was in Marsala to visit Friends and with your previous report in mind visited the very same windmill stretch there. Keep the great reports coming and many thanks for it!! And yes! always Marsala and always Sicily. I’ve owned my car for nearly 40 years, and I don’t regret a day of ownership! A car that attracts positive comments from complete strangers, a joy to look at and a joy to drive. Which is the name of the color? Gorgeous photos and article. 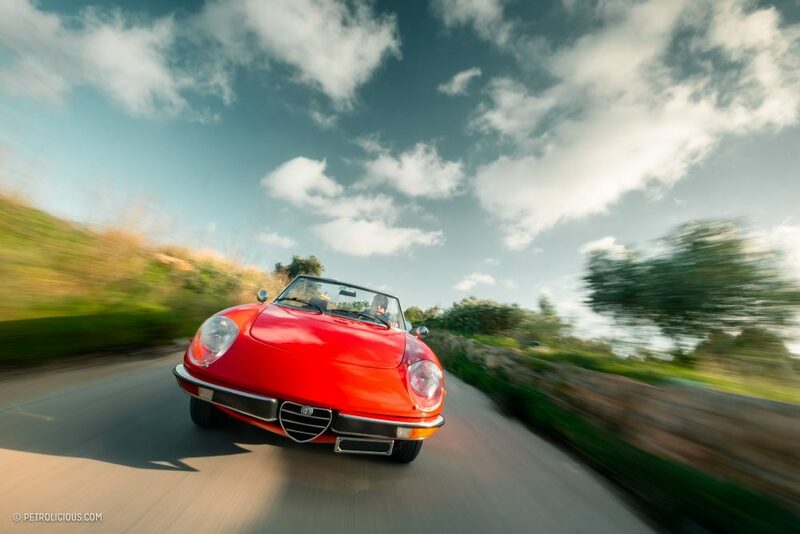 Your passion for the Alfa Spider comes through vividly. My ‘67 Duetto is currently undergoing restoration, but here’s a photo from several years ago on my favorite canyon road here in Southern California. Nice photo Iori. Beautiful road there. The car is not mine, unfortunately. Alessio, the owner, is a great friend and it was he who made me fall in love with the Duetto. 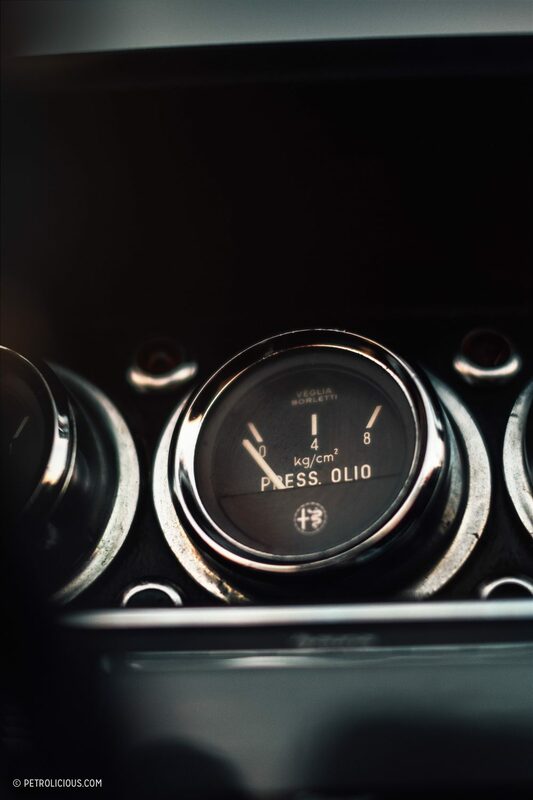 My passion for Alfa has remained unchanged. 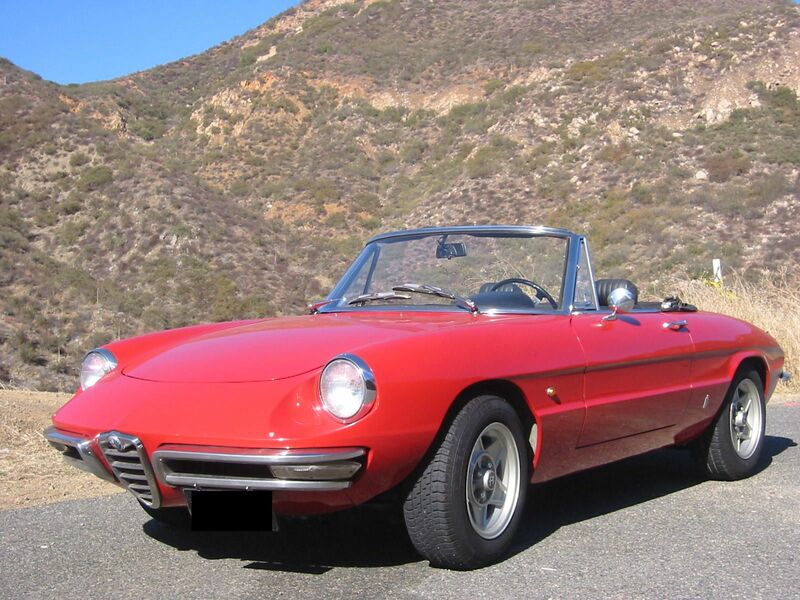 I was born in Sicily, here the Alfa have made the history of competitions. We Love this way . 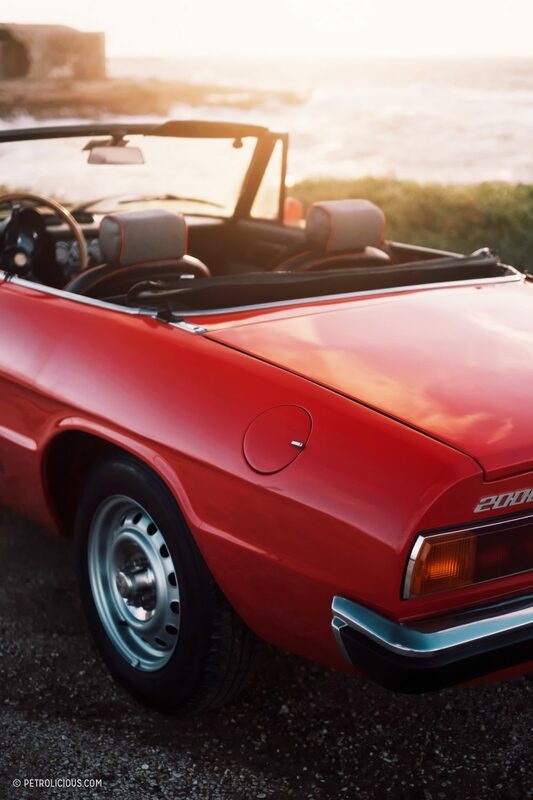 To love classic car for the pureness that can offers cars like Duetto . The stage married perfectly with Duetto with your description . Unbelievable work Congratulations Armando ! But he taught me more in an afternoon than a car with over 700hp in a life. The Duetto name has a beautiful history, strange but beautiful. Has I said in the article, the name was dropped off after some legal troubles. However, I’m totally agree with you. I falled in love with this tiny piece of art. Is a romantic car. One of those where you do not sit thinking about how fast you’ll go, but where you’ll go and with whom. A car that awakens the emotions and the joy of being together. Thanks for you kind comment.